Is Your Creativity Driven by Dissatisfaction? 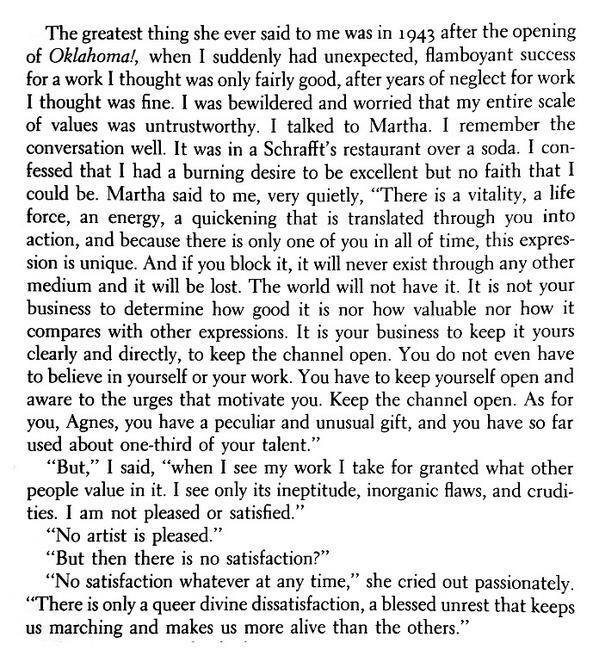 When I first read Anges de Mille’s retelling of a discussion with Martha Graham about the role of dissatisfaction in creativity, I recognized myself in it, as I expect most artists do. And I took Martha Graham’s advice to heart, hoping I would remember it during times of uncertainty in the value of my work. When I shared it on Facebook, it hit a resonant chord with many of my friends, a number of whom reposted it. However, Rita Ashley replied, “Hmmm. Let me ponder this. Am I less of an artist if I am satisfied with a work I produced? If I cannot see a need to change, improve or correct?… Is dissatisfaction a requirement to be a good/great artist? I realized that Rita has a very healthy pride in her creations that I sometimes also feel. But that doesn’t make my dissatisfaction less of a driving force in all my creativity. It’s a discontent not just with my art, but with the world around me, and my uncertainty about my ability to find the words or images that can help me (and others?) understand, deal with it, perhaps explore the questions that might — if we’re very lucky and persistent — find solutions. Or, if I’m to be precise, I’m driven by a combination of confusion, concern, and dissatisfaction. 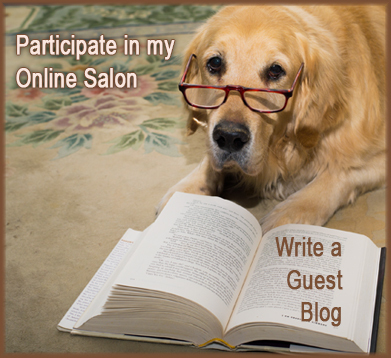 I can be pleased with a single creation (sometimes), but my body of work is very incomplete. I have so much more to say, to try to understand. What drives your creativity? When, if ever, do you feel you’ve reached a point of completion?